The Bo-Kaap (“above the Cape” in Afrikaans) is an area of Cape Town, South Africa formerly known as the Malay Quarter. It is a former township, situated on the slopes of Signal Hill above the city centre and is a historical centre of Cape Malay culture in Cape Town. The Nurul Islam Mosque, established in 1844, is located in the area. 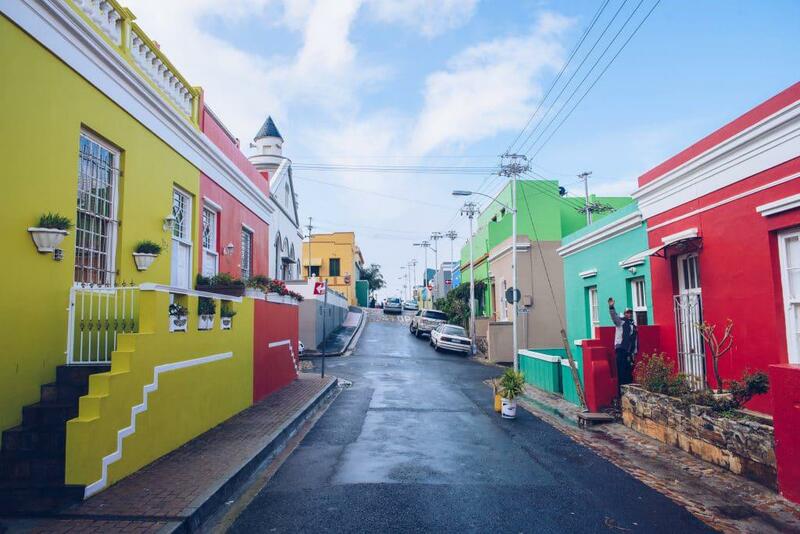 Bo-Kaap is known for its brightly coloured homes and cobble stoned streets. The area is traditionally a multicultural neighbourhood, and most of its population is Muslim. 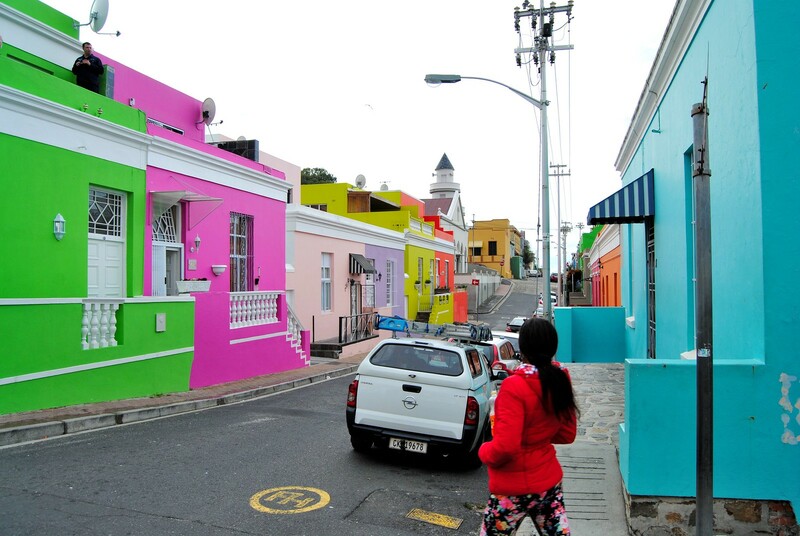 Bo-Kaap is known for its brightly coloured homes and cobble stoned streets. In 1760 Jan de Waal bought a block of land at the foot of Signal Hill, between Dorp and Wale Streets. A year later he obtained an adjacent parcel, extending his holding to Rose/Chiappini/Shortmarket Street. Starting in 1763, de Waal built several small “huurhuisjes” (rental houses) on this land, which he leased to his slaves. 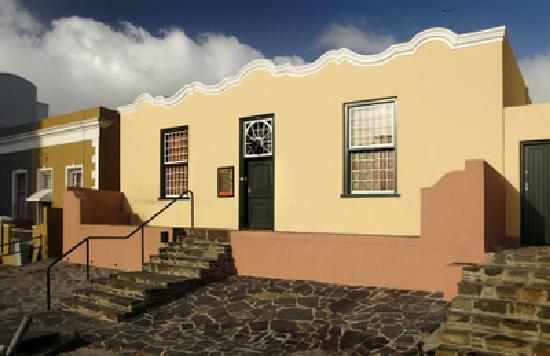 The first three are at 71 Wale Street (now the Bokaap Museum), above Buitengracht Street, and 42 Leeuwen Street respectively. Because the aboriginal tribes in the (Cape Town) area resisted the Dutch, slaves were initially imported from Malaysia, Indonesia and other parts of Africa, hence the name “Malay”. 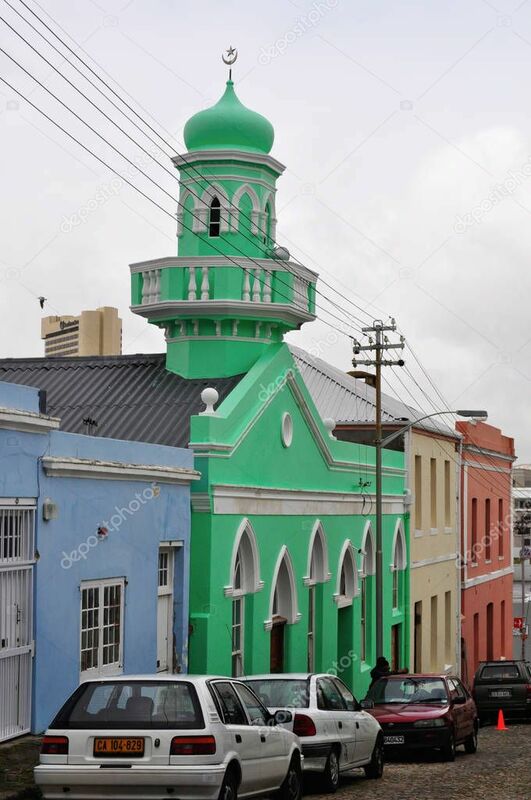 Most of the new residents were Muslim, and several mosques were built in the area, starting with the Auwal Mosque in Dorp Street in 1740. 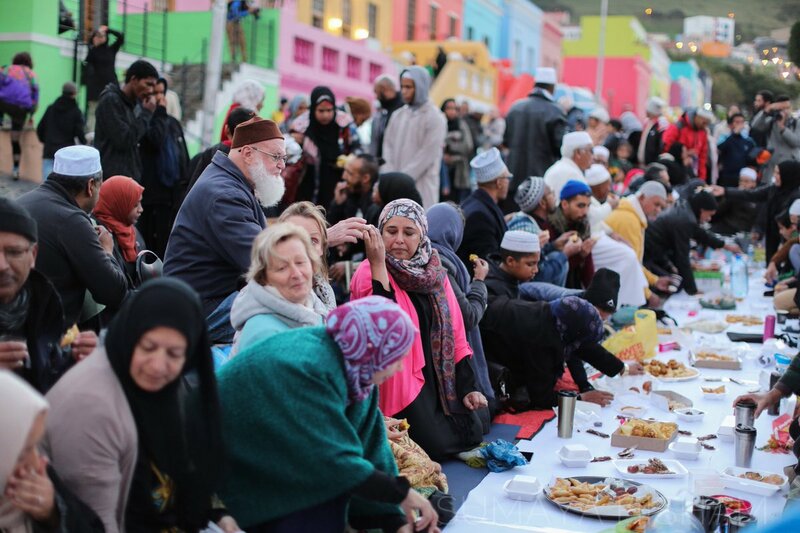 Hundreds of Muslims gather in Wale Street in Bo-Kaap for Iftar (breaking of the Ramadan fast), June 1, 2018. Between 1790 and 1825 more housing in both the Cape Dutch and Cape Georgian styles was built for the expanding population of tradesmen, craftsmen, and artisans. More Muslims continued to move into the area, including a wave of political exiles from Java and Ceylon circa 1820. After the emancipation in 1834 and the arrival of liberated slaves, developers constructed numerous rows of narrow, deep huurhuisjes. The brightly coloured facades are attributed to an expression of freedom by the new homeowners, as all the houses were painted white while on lease. As a result of Cape Town’s economic development and expansion, and after the demise of forced racial segregation under apartheid, property in the Bo-Kaap has become very sought after, not only for its location but also for its picturesque cobble-streets and unique architecture. Increasingly, this close-knit community is “facing a slow dissolution of its distinctive character as wealthy outsiders move into the suburb to snap up homes in the City Bowl at cut-rate prices”. Inter-community conflict has also arisen as some residents object to the sale of buildings and the resultant eviction of long-term residents. 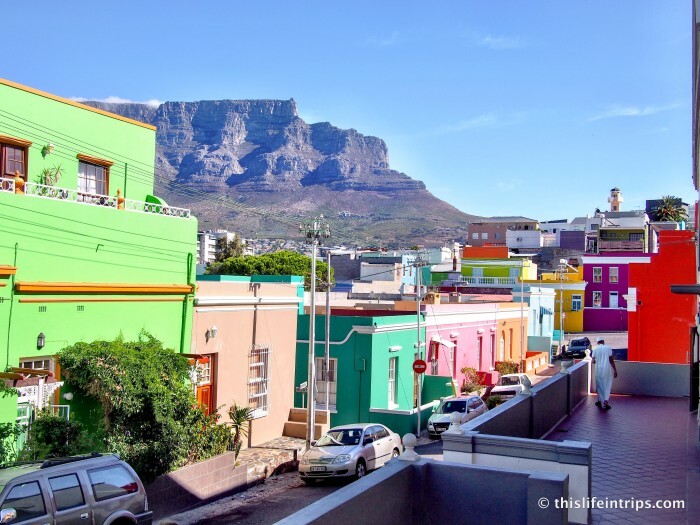 In the colourful Bo-Kaap, residents are angered by gentrification in an old inner-city neighbourhood that still holds on to a lineage of Islamic and Cape Malay traditions. A process to have the Bo-Kaap declared a national heritage site will begin early in the new year, Minister of Arts and Culture Nathi Mthethwa announced on Monday. Mthethwa also said after the Bo-Kaap has been declared a national heritage site, UNESCO will be asked to declare it a world heritage site. After proceedings in the school hall, Mthethwa told journalists the process to have the Bo-Kaap a heritage site will be implemented so that “it is not tampered with”.